I now see that I have never fit in. I was always the kid with more questions than answers; I was named Thomas for a reason. I was not one to believe things until I could see them with my own eyes. Oh, I was popular in school because I was an overachiever. I was an overachiever because I was never satisfied with my current condition. Throw in sexual abuse, competition with my three older brothers for our parents’ attention, plus spirits of fear of death and depression from my younger sister dying just after birth and you get me; Thomas a kid who never fit in. Today is no different and perhaps worst but now I finally understand! It seemed lonely for years but today I have embraced the fact that we are not supposed to fit in. People in the world hate me because the Holy Spirit of God in me agitates the demonic spirit in them. The truth is I don’t belong here I am just visiting at best. This earth… it isn’t my home and one day I will be leaving. This world and its earthly cares have no place for me. Leaders in the organized religious institutions hate me because I am a threat to their very existence and members of those denominations hate me because I have been labelled as rebellious and a nonconformist trying to divide The True Church and sinfully scatter our Lord’s sheep. I am in good company for the religious said the same about our Lord Jesus. Matthew 23 – Jesus hands out 7 woes to the religious leaders of the day and calls them all hypocrites. Believe me 2000 years nothing has changed. I was first discipled in the Assembly of God denomination and while in their Bible College I did a report on: When the Methodist denomination lost it power. One of the devastating turns was when they tried to fit in and transitioned from a Holy Ghost, rolling on the floor, tongue talking, Spirit filled, evangelistic healing movement into…well… what they have today. Today they fit in; they have become the same as the world they live in. My paper concluded that the Assemblies of God did the same (just like all of the rest of the denominations). When I wrote my first book: The Church What is it? now revised to: Church what it is and is not, I was told by my “god father” in Kansas, that if I published it I would never minister in Kansas again. I no longer fit in. So what is the answer, what do we do? Love God, love people (I got that from my brother’s ministry in Pittsburg Kansas). Assemble together with those of like faith as often as you can. 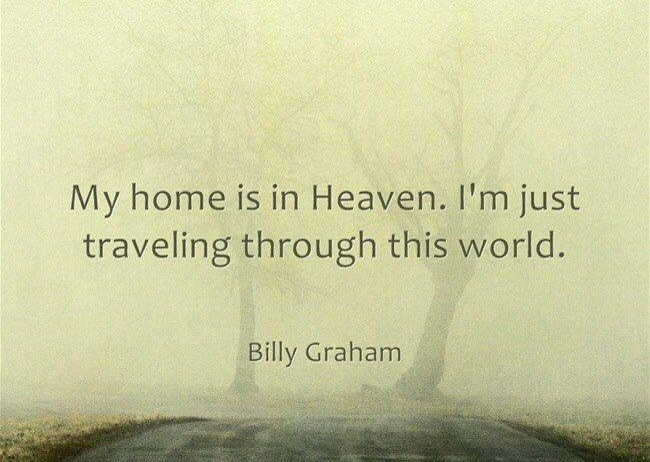 Pray & ask our Lord Jesus if there is anything else you are to do before He calls us home. Press your wedding clothes because we have an appointment to a wedding in Heaven! That is my simple list of 4 are yours different? Please share them!